I know what you’re thinking. The largest plane in the world is the Airbus A380, or the Boeing 777, but it’s not. 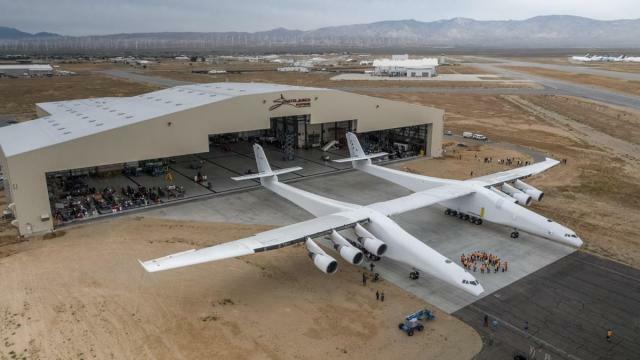 This is the largest Plane in the world. Stratolaunch Systems Corporation has been in development since 2011. This rocket-launching airplane is longer than a football field, and heavier than a whale. It’s powered by six Boeing 747 Jets. Click ‘Next’ to learn more about this incredible aircraft.